Have a strong-willed child who doesn't respond to consequences, argues like an attorney, and refuses to do things your way? Good! You're in the right place. 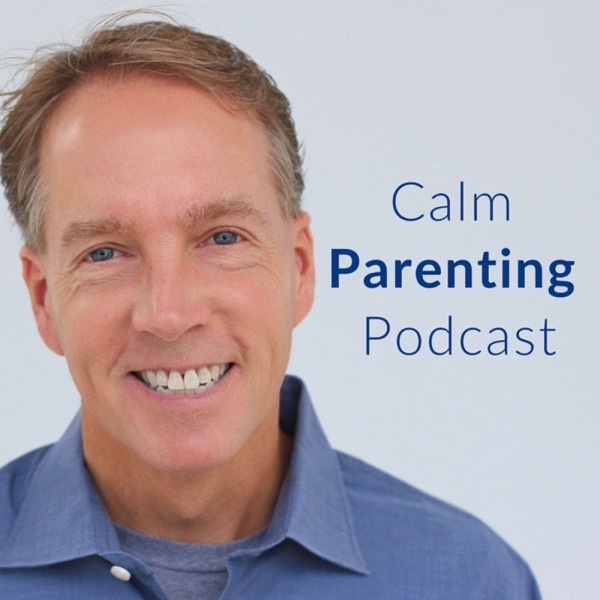 Celebrate Calm Founder Kirk Martin has given over 600,000 parents and teachers around the world practical, life-changing strategies to stop power struggles, yelling, and defiance NOW. Based on work with 1,500 challenging kids (many with AD/HD, OCD, ODD, Aspergers, etc.) in his home, and years spent in classrooms, Kirk's approach is refreshingly practical, honest, and laugh-out-loud funny! Questions? Visit us at www.CelebrateCalm.com or email us directly at Emily@CelebrateCalm.com. Really want to stop the power struggles with your kids? Kirk has a challenge: for the next 3 days, control your own anxiety over your child’s behavior and watch what happens. Lecturing kids tells them, “You aren’t capable of being successful without me.” When you get on your kids about every little thing, they don’t thank you for being so conscientious! They fight you. When you react to them pushing your buttons, they are now in control of you! The truth is that YOU create so many power struggles over issues that don’t matter. All because of your own anxiety. So let’s break this generational pattern for good! Do you agree or disagree with Kirk’s shocking advice for handling a child who yells at his Mom and defies her authority? Learn why some kids shut down and aren’t motivated. What do you do when one child takes all of your energy and attention? How do you help kids who give up when work becomes difficult? This is a fantastic podcast so don’t miss this one. Learn how to get your kids to push through and be responsible for themselves with our new No B.S. Instruction Manual for Strong-Willed Kids at www.CelebrateCalm.com/NOBS. If you need help, email Casey@CelebrateCalm.com. Child Pushing Your Buttons? Good! Here's How to Stop It. Child Pushing Your Buttons? Good! Here’s How to Stop It. Ever wonder why your child gets so much satisfaction from pushing your buttons and arguing with you? You thought he was just being difficult. But when you realize WHY and what purpose it serves, you can use this to actually problem solve. Listen to this insightful podcast and visit www.CelebrateCalm.com/NOBS to learn how to save your relationship with a strong-willed child. Frustrated because consequences don’t motivate your students or kids? Then listen to this podcast and learn two killer phrases that WILL reach deep down into a kid’s heart and change his attitude. Build your child’s confidence instead of crushing his spirt. Yesterday, Kirk challenged 600 teachers in NJ to try a radically different approach for the next two weeks. This works for teachers and parents. Here’s a challenge. Step up to the plate and bring Kirk to your community. He and his son can provide this same training to teachers, parents and students in YOUR community. Take thirty seconds and email Casey@CelebrateCalm.comwith the name of your school, church or organization and city. He’ll send you a one-page proposal. Struggling, Unmotivated Kids: 2 Ways to Help Okay, so this podcast is only for the courageous parent who wants to completely transform their relationship with a strong-willed child. Kirk gives you two scripts to use that he normally only reveals during the Parent BootCamp. We think you’ll cry when you realize how deep and affirming these statements are, and how misunderstood your kids are. Can you imagine internalizing that you're a bad kid or stupid kid? Behavior charts crush our kids. But you can't just let kids get away with misbehavior when they struggle with following directions, focus and attention, blurting out, writing, social skills and more. Use this revolutionary approach and script Kirk provides, and your challenging kids can become leaders at home and in the class room. SHARE THIS WITH TEACHERS, PTA, AND PRINCIPAL. Kids Not Listening? Don't Mess With Me. Your child whines, negotiates, argues, says, "One more minute" or just refuses to do what you ask, then calls you mean. In this podcast, Kirk demonstrates the tone and attitude you need in order to get your kids to listen to and respect you...without yelling, explaining, begging, or giving empty threats. It’s heartbreaking to hear kids say, “I’m stupid” and shut down. Your kids have struggles, but I don’t want to coddle them or make excuses. In fact, I want you to turn their negatives into positives. Listen until the end for one of the most powerful talks you could ever have with your child or student. SHARE THIS WITH TEACHERS. Want Responsible, Respectful Kids? Do The Step Back. Yeah, I know we all want the same thing: kids who are responsible, respectful and become good citizens. I’m going to share a very powerful secret that will get your kids to actually step up and be responsible for themselves. It will eliminate so many of the power struggles. This is inspiring! Get Your Strong-Willed Kids to Do Stuff Without The Fight You have a strong-willed child who automatically resists you at every turn, chooses the harder path, and won’t do things the way you want them to be done. Kirk gives you 5 ways to get your kids to do homework, get ready in the morning, apologize, do chores, and more in this important podcast. Parenting is Hard. 2 Ways to Keep Your Sanity in 2019. You had children. Why? What were your expectations? I bet life has turned out very different than you have envisioned it. That can either cause you to resent your strong-willed child or break generational patterns so your kids don’t struggle with the same issues. So let’s reframe what we really want so we can have curious, confident kids. Stop Power Struggles With Strong-Willed Kids Do you need your children to behave, precisely because you cannot control yourself if they don’t? If your child is in a bad mood, does this change your mood? In this short podcast, Kirk shows you how to control yourself instead of controlling your child. Q:A: Hubby On Board? Rude or Anxious Kids. “My son has had an attitude lately. How can we change that?” Kirk gives you an entirely different way to frame this. “How can I get my hubby on board?” Kirk gives you four different scripts and one blunt approach. “How can we get our daughter to try new things?” Listen in as Kirk shares more great insight and strategies to break generational patterns. Kirk explains why your kids get along better with adults, younger kids, and/or animals…but struggle with peers. Should you be concerned? Should your child see a counselor for this? His answer may surprise you. Not for the faint of heart so be ready to change yourself instead of your child! Stop Trying to Fix Your Kids—Train Their Brains Have kids who forget to turn in homework, feel "dumb," get overwhelmed, blurt out, or struggle in school? Society will crush your child’s spirit and destroy their confidence. So you must teach your kids that their brains are different (even advantageous) and that there is nothing wrong with them. Kirk gives several specific examples that will help your kids be successful. Share this with your PTA, teachers and school counselors. De-Escalate &amp; Discipline A Defiant Child: My Best Podcast Ever This 30-minute podcast will change how you handle meltdowns, yelling, and discipline in your home. Ever feel helpless when your kids are out of control or defiant? So do your kids. So learn how to break these negative cycles, lead your child to calm, and show him/her how to deal with frustration. This is rich with insight into your kids…and you. Share this one. It will change relationships. Q&amp;A: Fairness, Getting Kids to Be Responsible &amp; Calming Upset Students Kirk answers 6 tough questions from parents and teachers in this lightning round format. As always, his strategies are practical, creative, and they work! · How do we get kids to be more responsible for themselves (Kirk shares a great phrase every parent and teacher needs to master)? · How can we get a student to collaborate/work well with others in class? Should we mark down if that child doesn’t participate? · How do we calm an upset child instead of embarrassing the child and escalating the situation? · How do you discipline and redirect a student without causing him to shut down? · What about kids who get physical and have sensory issues? Watch Your Tone! Calming Intense Kids. Watch Your Tone! Calming Intense Kids. Your child gets upset, lashes out, picks on her brother, and the family walks on eggshells around her. Then she beats herself up. Yelling won't work. But talking to her with a sweet, affirming tone will actually make it worse as well. So how can you use intensity and a different tone of voice to change these situations? While you can't control your child's behavior, you can always control your tone of voice. And it's more critical than you know. Your kids are expert button-pushers. So how do you respond instead of react? A child yells at his mom, dad yells at the child, and then mom has to clean up the mess. Hubby feels criticized and checks out. Resentments build. Tonight when a tense situation or power struggle occurs, how can you turn this into an OPPORTUNITY to completely change your family? Consequences for Lying &amp; Bad Behavior: A Radically Different Approach Your child lies, misbehaves, and does things that erode trust. Consequences won’t work. But THIS radically different approach will actually change your child’s behavior faster than anything else you’ve tried. Brave enough to listen and try it? Stop Endless Arguments Over Sleep, Homework, Phones &amp; More September 4, 2018 How do you get your relentless child to stop arguing and take ownership of his choices? How do you de-escalate in the moment AND get your child to be responsible for his own homework, sleep, and phone? Yeah, these are some weird strategies…but they WILL work even when consequences don’t. Filled with practical wisdom that will blow you away. Come learn how to do this at our remaining Parent BootCamp in Dallas at www.CelebrateCalm.com/Camps. Or schedule a personal phone call with Kirk. Need help financially or otherwise? Email Casey@CelebrateCalm.com or call 888-506-1871. THE SMART*** KID WHO CHANGED THE WORLD Kirk's never told this story before, partly because it's so personal and emotional, but it's what prompted him to create the ADHD University program a few years ago. I bet you'll see your child in this story. But I'm sure your child doesn't have a smart mouth or big heart for others :) Learn how to use 50 different tools to help kids develop confidence, lifelong skills and the ability to advocate for themselves. Get even more practical tools at http://www.celebratecalm.com/bb-adhd If you want your child’s teachers to have this insight, email Casey@CelebrateCalm.com with the word TEACHERS in the subject line. Tell us the name of your school/church and city. We’ll send a one-page proposal you can forward. It’s easy. Massive Meltdown &amp; Destructive Defiance Do your kids ever meltdown, shut down, or throw down when you ask them to do things or go new places? It usually creates an ugly scene with everyone in tears. But Kirk will show you in 14 minutes exactly how to change these situations literally overnight. Come learn how to do this at our two remaining Parent BootCamps in DC and Dallas at www.CelebrateCalm.com/Camps. And don’t forget to GET THE BAG OF CDs FREE this week when you change yourself first. Need help financially or otherwise? Email Casey@CelebrateCalm.com or call 888-506-1871. Disciplining Calculating, Willful Children I don't know why I cried throughout this podcast—I’m getting all soft and it’s uncomfortable! But it usually means that it’s really good insight you need into these challenging kids. Listen to this tale of two kids, one easy and one challenging. Want more insight like this? Listen to our CDs or attend Parent BootCamp. See www.CelebrateCalm.com/Camps. Need help financially or otherwise? Email Casey@CelebrateCalm.com or call 888-506-1871. Consequences Don't Work! Why Good Behavior Doesn't Matter Tired of the endless loop of consequences that don't ever work anyway? Want to know why your kids shut down and don't feel good about themselves? This is a very emotional podcast that will change the way you view your child. Most parents want a child with good grades and good behavior. I don’t. So what should you focus on? How can you raise a responsible child? Beware this one trap that will destroy your child's confidence and your relationship. So listen and learn how to foster trust and purpose instead of fear and anxiety. Want to learn how to radically change your relationship with your strong-willed child? Get all our CDs FREE when you attend our Camps: http://www.celebratecalm.com/camps/ Need help? Email Casey@CelebrateCalm.com with the word TRUST in the subject line or call 888-506-1871 to learn more. Bob The Nuclear Reactor—5 Keys to Stop Reacting For some reason, I got really emotional during this podcast. Be warned: this is not for the faint of the heart. My five points are brutal, but they will free you from the constant power struggles with your kids. So you aren’t always reacting like my friend Bob the Nuclear Reactor. Listen to this podcast and learn more about our unique camps here: http://www.celebratecalm.com/camps/ Need help? Email Casey@CelebrateCalm.com with the word BOOTCAMP in the subject line or call 888-506-1871 to learn more. Better Than Behavior Charts? Build Confidence Instead of Crushing Spirits. Jacob is a student just like millions of others in class right now. He struggles with impulse control issues and often gets in trouble for blurting out and not keeping his hands to himself. He interrupts the teacher and sometimes refuses to do his work. Recess is difficult because he gets bossy or changes the rules of the game. He struggles with anxiety and won’t stay on task. What if with one example using five different practical tools we could improve your child’s focus, executive function, social skills, sensory issues, and confidence? Listen and learn how. Share this podcast with your PTA, principal, school counselor, teacher, church school, or parish. Email Casey@CelebrateCalm.com or call 888-506-1871 to bring this training to your school, district, or parish. ADHD & Medication? A Unique Approach & 10 Tools. ADHD &amp; Medication? A Unique Approach &amp; 10 Tools. May 1, 2018 This is one of the best podcasts Kirk has ever recorded. Even if your child doesn’t have ADHD—but struggles with focus, attention, impulse control, executive function, writing, organization, sensory processing, social skills, anxiety, or short-term memory—Kirk’s perspective is novel and incredibly helpful. Learn how to use 10 different tools to help kids develop confidence, lifelong skills and the ability to advocate for themselves. Get even more practical tools at http://www.celebratecalm.com/adhd-brain-boosters/. If you want your child’s teachers to have this insight, email Casey@CelebrateCalm.com with the word TEACHERS in the subject line. Tell us the name of your school/church and city. We’ll send a one-page proposal you can forward. It’s easy. Space: 5 Ways To Correct, Calm, and Command Kids Without A Fight April 23, 2018 How can you correct kids’ homework without them getting upset? How do you calm a frustrated or irritated child? How do you get them to do chores without the fight? How do you lead a child to true contrition rather than forcing an apology? Kirk shows you 5 practical ways to do this in under 10 minutes. Email Casey@CelebrateCalm.com with the word SPACE in the subject line or call 888-506-1871 to book Kirk at your school/church or get help with our resources. Is technology pitting you against your kids with endless power struggles over video games, TV, cell phones and social media? Do you feel pressure to give your toddler an iPad already? Would you child play Minecraft all day if allowed? Are you afraid your child’s imagination, creativity, and social skills are being stunted by reliance on technology? Are your teens pulling away, afraid they will miss out if they are not online 24/7? What do you do when your kids are required to use a tablet for homework, but get distracted? Listen to this podcast to learn how to get your kids off screens without a battle. It’s insight that can change your family. Wives, tell your husbands, “All I want for Mother's Day is for you to take 15 minutes to listen to this.” It’s a great gift. Guys, you want respect. Here are 5 ways to get it very quickly. Learn how to calm upset kids, motivate kids in positive ways, de-escalate situations, and stop yelling. Plus learn one phrase your wife will love! Need help taking this further? Email Casey@CelebrateCalm.com with the word DAD in the subject line or call 888-506-1871. We will help you get the respect you want. Get Your Kids to Make Good Choices: Two Practical Ideas You Can Use Tonight. Your kids are impulsive and make bad choices. Then they get in trouble and you end up fighting. It's exhausting. How can you get your kids to own their choices and be responsible for themselves? Kirk gives you two very powerful and concrete strategies in this short podcast. You can use the Choice Ball and Bonfire examples tonight—men will love the Bonfire approach! Want to learn more about Calm Parenting University that Kirk mentioned? Visit http://www.celebratecalm.com/cpu-150/ to get 40 strategies like these. Email Casey@CelebrateCalm.com with the word CALM in the subject line or call 888-506-1871 to book Kirk at your school/church or get help with our resources. Your child can’t deal with changes and disappointment. Or he screams and says inappropriate things. Situations escalate. In this emotional story, Kirk tells you how to lead an upset child to calm and build trust by controlling yourself instead of the child. Email Casey@CelebrateCalm.com with the word CALM in the subject line or call 888-506-1871 to book Kirk at your school/church or get help with our resources. Morning Madness: 10 Ways to Get Kids Up Without Fights Tired of morning routine battles? Kirk provides 10 practical, concrete (and even very funny!) strategies to get kids off to school without the yelling and fights. You can try these tomorrow morning! Email Casey@CelebrateCalm.com with the word MORNING in the subject line or call 888-506-1871 to book Kirk at your school/church or get help with our resources. Intense Kids: 2 Ways to Calm &amp; Build Confidence Stumped how to calm an upset child? Kirk shows you how to use your own intensity to calm really upset kids and build their confidence. You can use these two strategies today! Email Casey@CelebrateCalm.com with the word INTENSE in the subject line or call 888-506-1871 to book Kirk at your school/church or get help with our resources. Help With ADHD—Angry Kirk! It’s hard parenting a child with symptoms of ADHD, especially when society judges and says there’s something wrong with your kids. Kirk got a little angry, but used that to give you practical tools to build your child’s confidence. Get more help at http://www.celebratecalm.com/adhd-brain-boosters/. 7 Ways to Motivate Kids How do you motivate kids who are bright, but not academically motivated? Bribes and consequences never work. So Kirk shares 7 real life stories applying his three-step process for sparking a child’s internal motivation. This is an emotional podcast because we don’t want to crush these kids’ spirits. To learn more about the innovative Camps Kirk references, visit www.CelebrateCalm.com/Camps. Kids Interrupting? Entitled? Creating Boundaries. Kids Interrupting? Entitled? Need Some Space? How do you get your kids to stop interrupting you and acting like they are your peers? How do you handle that teenager who’s become entitled? Kirk’s blunt answers may surprise you (and make you laugh). Learn how to create healthy boundaries in your home. Email Casey@CelebrateCalm.com or call 888-506-1871 to get practical help and our free newsletter. Teachers: Sensory, Social Skills &amp; Transitions in Class Kirk provides two practical, concrete classroom examples to help kids who struggle with social skills, executive function, sensory issues, transitions, and more. This fifteen minute podcast is filled with tools to help struggling students succeed and build confidence without crushing their spirits. Forward to teachers and use the principles at home. Email Casey@CelebrateCalm.com with the word REPTILE in the subject line or call 888-506-1871 to book Kirk at your school/church or get help with our resources. Secret Discipline Tool: Men, Moms &amp; Marriage: Using this secret weapon will change your child’s behavior more quickly than you can imagine. And it has absolutely nothing to do with your kids. Learn 10 very practical (and funny) tips that every man (and woman) can use TODAY to strengthen even a struggling marriage—and calm their kids. Email Casey@CelebrateCalm.com or call 888-506-1871 to book Kirk or get help with our resources. Teachers: Behavior Issues in Class? 10 Ideas. Do you have a child or student who struggles with behavior, impulse control, social skills, following directions, anxiety, and/or sensory issues. How can you handle all of these issues and build a child’s confidence at the same time? Learn practical ways to improve concentration, impulse control, social skills, and more. Share this with your child’s teachers. What do you do when your kids say awful things to you? Does being calm mean you let them get away with it? No! In this example, Kirk shows you how to turn a highly charged confrontation into a bonding experience. It’s powerful and practical. Email Casey@CelebrateCalm.com or call 888-506-1871 to get practical help and our free newsletter. How can you calm an upset, anxious child who is freaking out? Is your child being defiant or anxious? Kirk shows you exactly how to turn a nasty power struggle into an opportunity to build confidence and trust. Email Casey@CelebrateCalm.com or call 888-506-1871 to get practical help and our free newsletter. So what do you do when your child just flat out refuses to do what you ask? How can you teach your kids without lecturing, yelling, or escalating situations? Learn very practical steps through Kirk's infamous "Rake Leaves" example with his son, Casey. Email Casey@CelebrateCalm.com or call 888-506-1871 to get practical help and our free newsletter. How do you discipline a child who doesn't respond to consequences? Who doesn't ever want to do things the way you want? How can you discipline without making your child feel like a failure? Kirk will show you how to handle misbehavior, blurting out, lying, stealing, screen time, and much more! Email Casey@CelebrateCalm.com or call 888-506-1871 to get practical help and our free newsletter. Live Podcast from North Carolina Home Educators Convention Keynote Address: Do you need help calming your explosive household? Tired of yelling at, negotiating with and bribing your child? Do you want your child to take responsibility for his school work, chores and attitude? It’s time to stop the yelling, arguing and power struggles with toddlers and teens. How can you expect your kids to control themselves...if you cannot control yourself? It’s not your job to manage everyone’s emotions and make everyone happy! We’ll show you how to create stress-free mornings, school, dinner and bedtime. We promise you will laugh and leave with a dozen practical strategies that really work.